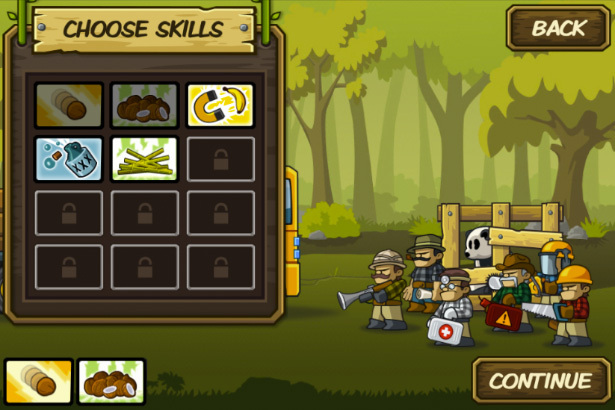 Here is another screenshot preview from an early level of side-scrolling defense game Lumberwhack. 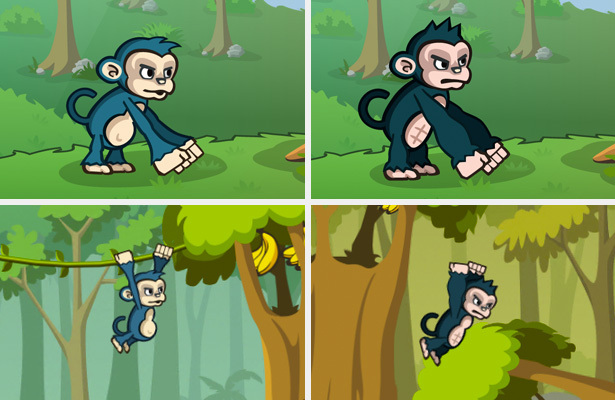 Only two animals has been rescued and unlocked, the Angry Ape and the Smashback Gorilla. 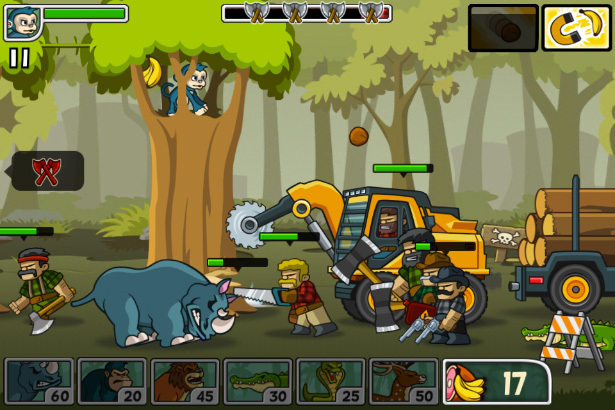 The Smashback Gorilla is apparently living up to his name and is just about to smash back at the lumberjacks. 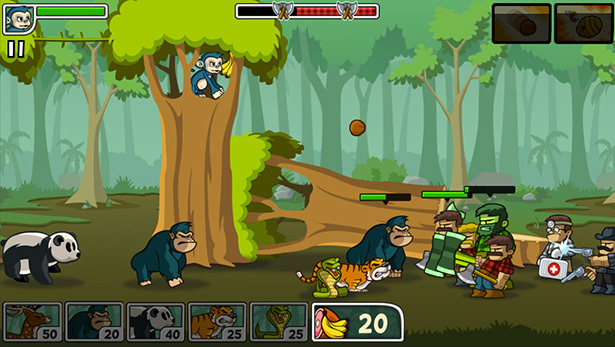 The Angry Ape has picked up some Headcracking Coconuts that the player controlled monkey has dropped down on the ground from one of his skills. 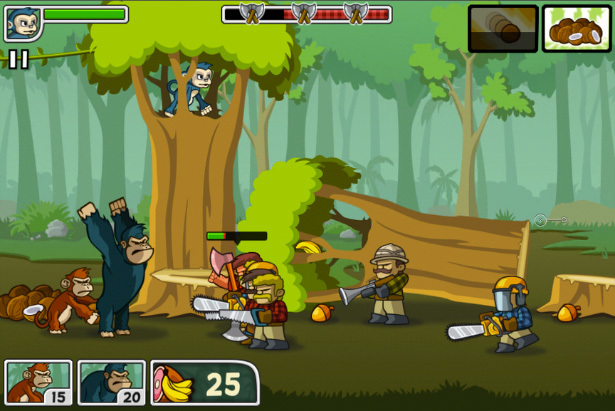 Making the Angry Ape an effective ranged unit. Though, right now it kinda looks like he is playing quarterback in an American Football team and not in a defense game for iPhone. 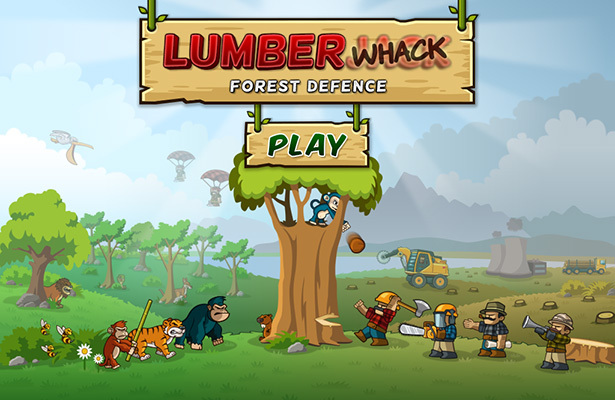 Just finished the graphics and functionality for the title screen of Lumberwhack, my new game for iPhone, iPad and Android. I hope it gives the right feeling of what this side-scrolling defense game is about.